Western Australia’s retail landscape is in a state of transformation, with the rise of ‘town centre’ style retail focused on entertainment and experience prompting the demise of the traditional shopping centre. CBRE’s latest Viewpoint ‘Western Australia’s retail centre revolution’ highlights a major shift in the state’s retail sector – underpinned by State Government reform to floor space caps and a generational shift towards a more experience-focused retail experience. 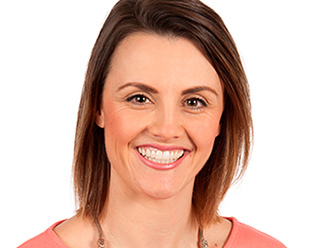 CBRE Research Manager Gemma Alexander said the implementation of the WA Planning Commission’s ‘Activity Centres Policy’, which came into effect in 2010, had sparked major changes within the state’s retail sector. “Town centre style developments that provide far more than just a retail offering are quite commonplace across the globe, leaving WA with a lot of ground to make up in the wake of the planning reforms,” Ms Alexander said. CBRE Director of Retail Services in Western Australia, Richard Cash, said Perth was becoming more competitive at both a domestic and international level amid an underlying shift in the fundamental concept of modern retail. “Retail has evolved significantly over the past decade – transforming from just a single destination for the purpose of acquiring goods, to providing a more holistic consumer experience encompassing not just a shopping element, but leisure and dining. As retailers become sophisticated in their approach to meeting the needs of shoppers – both today and in the future – our shopping centres are also changing face,” Mr Cash said. Combined with policy changes that remove restrictions to the size of shopping centres across the state, Perth’s retail sector is positioned for huge change over the next five years, the report highlights. A number of major refurbishments and extensions are mooted for Perth’s major centres, culminating in approximately $2.5 billion worth of construction work over the next five years. Westfield Carousel, Perth’s largest current retail centre, is set to be overshadowed by a proposed 106,050sqm proposed expansion of Morley Galleria, which will see the complex boosted to a total GLA of 179,415sqm. The expansion plans include a six storey hotel, apartments and office tower, a medical centre, tavern, theatre, cinema and recreational facilities. CBRE’s Adrian Morabito commented on the project: “Tapping into these various elements will help position Morley Galleria as a 24-hour business and lifestyle hub that caters not just to shoppers, but also residents, employees and tourists,” Mr Morabito said. Westfield Carousel will also undergo an expansion, adding 47,108sqm to become a 130,230sqm complex, while Garden City will become the state’s third largest centre with 120,000sqm GLA after a 55,000sqm extension. A proposed 49,393sqm extension to the current 64,000sqm Karrinyup Shopping Centre will have a strong focus on lifestyle and entertainment elements, with it set to include a commercial centre, medical and consulting rooms, community spaces and extensive town square.